There are many health benefits Cinnamon has to offer. At one point it had more value than Gold. Besides, it’s a delicious spice as well. Cinnamon, used by the Egyptians, Greeks, and Romans became one of the most precious and expensive spices around. Cinnamon was used by many as a flavouring to wines. So precious was Cinnamon, that at one point it was deemed fit only for people of importance? It was given to royalty as a gift or offered to Gods as a sign of their devotion. Egyptians would use cinnamon as part of the embalming process. Rome would have similar tradition but this spice was considered far too expensive to be used within funeral traditions. 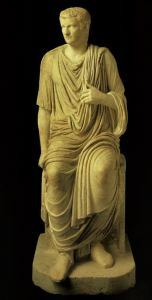 However, Nero, the Roman Empire who ruled Rome at the time had a different set of ideas. When his wife died he used an entire year’s supply and used it on the funeral pyres of his wife’s death. Spice Wars (That’s right Spice, not Star Wars). Over time the popularity of Cinnamon still remained a valuable resource so much so that wars were fought and lost for many years. Back around the 1500’s, the Portuguese landed in Ceylon (this is now known as Sri Lanka) they found much Cinnamon growing and one that is to this day considered as the true cinnamon. It is still more expensive than some of the other varieties such as Cassia (more on this later). 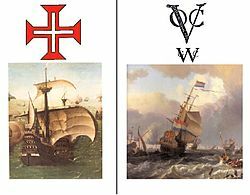 Later the Dutch came into the seen fought the Portuguese and took control. Then in 1796 the British took control over the Dutch and held a monopoly on this valuable resource but now the value was starting to decline. The Spanish who left New Spain (Mexico) landed around the Philippines and found a variety of Cinnamon which at the time was considered reasonably as good as the one from Sri Lanka. It was gradually found growing in China and in other parts of the world. Some of the qualities are very similar and were accepted to be good enough to be used in the same manner as the original versions of Cinnamon found in Sri Lanka. Although there are many varieties or species of Cinnamon this can be brought down to six species as per Wikipedia. However today it is considered to be two main varieties that are being used and known in today’s world. 1. Cassia or Chinese cinnamon and as stated above is the most common form used today due to it being cheaper than the next species. 2. Sri Lanka Cinnamon This is the original that brought the world attention with Cinnamon. The Sri Lankan Cinnamon is dearer than Cassia. Nutritionally it has properties considered slightly higher than that of Cassia in particular with extracting the oil that now is known as Cinnamon Essential Oil. It is also a better tasting than that of Cassia. Cinnamon contains Coumarin which is a liver toxin. This can be harmful in high doses. Cassia or Chinese cinnamon has a higher level of Coumarin so care needs to be taken should you be using Cassia instead of the Sri Lankan Cinnamon. This is also the more common type used in foods and bought in stores as it is normally cheaper. The Sri Lankan or true cinnamon is a different species which has lower levels of Coumarin. Perhaps this could be one of the reasons why Sri Lankan Cinnamon is more highly prized than the standard cheaper version. It still is more expensive than Cassia today. That is just my opinion so just adding my 2 cents worth. Should you be making cinnamon tea you can try to reduce the risk of Coumarin toxicity as it is left behind in the sediment. So it may be best not to swirl your tea in order to get every drop. The same would go when selecting Essential Oil of Cinnamon or when purchasing supplements in the form of Capsules. Below you will find an essential Oil as well as supplements both of which are extracts from the origin and true cinnamon. When you click on the image or any image for Cinnamon, always go to product description (further down which you click the link) and you will find details stating where it is extracted from. 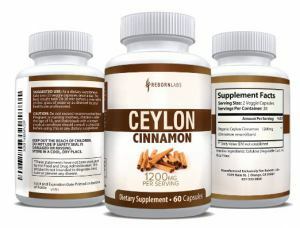 This would then be from Ceylon (Sri Lanka), Indonesia or India as this is where the truer Cinnamon is used. But the choice is up to you but I feel it is important to let you know the difference and reasons why true cinnamon is best. But that again is my opinion only. This is why I believe that supplements and Essential Oils can become a better option and choice for the locations where the extractions are done and which species is involved. Ok, that’s the end of the History lesson and my rant lets’ get to the nitty-gritty of why we are here. To read about the Nutritional and Health Benefits Cinnamon has to offer. We have mentioned how valuable Cinnamon Spice was in the ancient days, both as a spice and for healing and health purposes. Now you will able to see the benefits the ancients already knew existed, one that science has finally come to terms with. Cinnamon provides good amounts of calcium and Dietary Fibre. Having good amounts of Calcium along with the Fibre increase the health benefits by helping to improve the health of the colon. This dynamic duo binds together and is able to remove bile salts from the body. In doing so they can reduce the risk of colon cancer. A side benefit of this action is that it creates an opportunity for the body to break down cholesterol so that bile can be recreated. This new action results in reducing the cholesterol levels which again in turn help reduce chances of heart disease. Dietary fibre also plays an important role in constipation or diarrhoea. 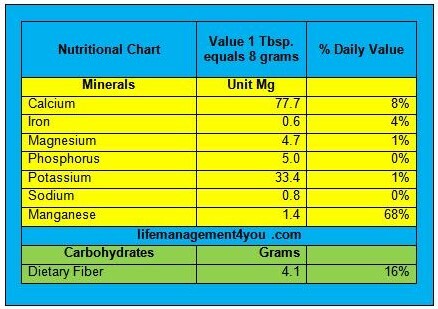 However, with Manganese, 8 grams provides a massive 68% of the daily recommended value. Manganese is an important element relating to bone health, necessary for optimal brain and nerve function, (we certainly could use some of that, well at least I can LOL), and very beneficial as an antioxidant (More on that soon). Manganese will also help coagulated the blood, regulate blood sugar. Low levels of manganese are said to create issues such as weakness, seizures ever infertility. Fortunately, Manganese is not only found here in Cinnamon but also is whole grains, nuts, and seeds, especially in Fennel Seeds. I wasn’t kidding about when I stated we could use some extra Manganese as the scent of Cinnamon stimulates the brain activity. This can be by chewing cinnamon flavoured gum or just the aroma of Cinnamon either as a powder or essential oil. 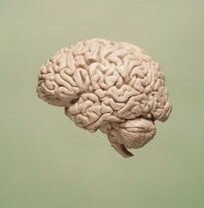 Research on this showed that in help participant’s cognitive thinking where scores on tasks give were improved. Another way to help this is to add a couple drops of Cinnamon Essential Oil in a vaporizer or so that the vapours can be felt around the room, perhaps the whole home. This can also add to a more positive environment as well. There are some powerful actions here with Cinnamon where it has been shown to slow down or stop the growth of bacterial and fungal issues. One of the actions found in Cinnamon is its ability to stop the growth of bacterial and fungal growth such as Candida. Lab tests have shown that yeast growth that is resistant to some modern-day antifungal medication, was on the majority stopped by using cinnamon extracts. The Antimicrobial properties showed much promise, that another test was performed with Carrot Broth that demonstrated how Cinnamon can be used as an alternative to the normal type of food preservatives they use. 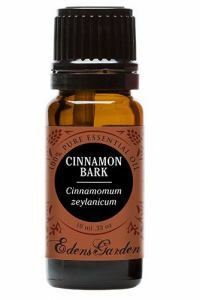 To put it in English, with the Carrot Broth of all the other essential oils used against the Bacillus Cereus pathogen, Cinnamon showed the best results in inhibiting the growth for 60 days. What made this more important is that the growth without adding the essential oil continued to grow despite being refrigerated which on its own should slow the growth. So you can see just how important the essential oil of Cinnamon can be and how important it can be for you. When the skin is cut, for example, the platelets within the body start to form and clump together as its way to stop the bleeding. However, situations arise where they can clump too much and in doing so cause the blood to not flow elsewhere as efficiently as it should. Enter Cinnamon or one of its properties called Cinnamaldehyde. This property helps to avoid this unusual clumping of blood platelets by inhibiting the release of the inflammatory fatty arachidonic acid thereby reducing the unnecessary formation of over clumping. So this action basically controls the actions of the platelets but also acts and an anti-inflammatory agent as it lowers the release of this acid from the cell membranes. Many times when seasoning certain types of food, the blood sugar levels can rise and if the blood sugar levels are not kept in check this can lead towards more serious issues in life. Such problems can be Diabetes, high blood pressure, stroke, heart attack, and the list can continue. Cinnamon has shown to slow the stomach action as it works on emptying the food it has received. This action helps to not only take some pressure on the stomach and its properties with the role performed but it also lowers the blood sugar level after the consumption of food. 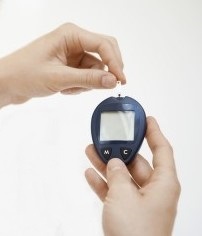 This control over the blood sugar level is so important to those suffering from Diabetes, in particular, type 2 Diabetes as it strengthens the role of normalising its role and response with insulin. More tests are done with this role for humans but to date, it has been shown that half a teaspoon per day can reduce blood sugar levels in type 2 Diabetes. In fact, 1 gram a day produced about a 20% drop in blood sugar, with the added effect of lowered cholesterol and triglycerides. The tests also showed that as soon as the daily amount of cinnamon stopped so did the decrease to the point the levels of blood sugar actually rose. Antioxidants help to protect the body from what is known as Free Radical. These Free Radicals are basically an unstable molecule within the body which if left on its own can created havoc and damaged the other normal molecules. Antioxidants stop the free radical by neutralising them thus defending the body of these radicals. To give you a basic idea of what a free radical is without going too technical. As you know our body is comprised of atoms, of these atoms contains protons, neutrons, and electrons. So when more than one atom forms together we get molecules one type is DNA. Each molecule is comprised of a certain amount of electrons, however, occasionally for whatever reason that created the change, a molecule may lose that electron charge. The molecule then becomes a Free Radical and as such become a danger to the rest of the molecules as if they attach themselves to other molecules it can then cause them to lose their electron charge. This now becomes a group of unstable radicals, which creates its own chain reaction that is now set to attack other molecules and damage them. DNA is one form of molecules that are linked together. What the antioxidant does is when they connect with these free radicals they charge them with a dose of electrons that neutralises them and stops the attack of the free radicals. So you can see why Cinnamon is as important as an antioxidant as it is a spice. It was found that of all the other antioxidant spices that only mint (link with herbs or spices) was more effective than cinnamon in attacking these free radicals. Studies have shown that cinnamaldehyde (mention early with Anti-clotting) has the ability tin inhibit cancer tumour growth as well as helping to protect DNA from damage. It does this by making the cancerous cells in the body to self –destruct a process known as cell apoptosis. This has been found with colon cancer where it showed how cinnamon can improve the health of the colon. It has become such a find that due to it antioxidant strength, it is being used as a supplement for those who might be at a higher risk for cancer. So there you have it the many health benefits Cinnamon has to offer. Have you used Cinnamon for health benefits or just as a spice? I would love to hear your thoughts and experience of how Cinnamon may have benefited you. There is a great deal of excellent information in this article. It is very useful. Thank you for writing this. I recently discovered the miraculous power of Cinnamon and since then I have been using it every time when my 2 small kids (4 and 8 years old) are catching the cold. What I do is mix 1 teaspoon of honey lime with 1/4 teaspoon of Cinnamon and give it to them 2 times a day for at least 3-4 days. It works each and every time. I used to run to the drug store and buy medicine, antibiotics because I was scared and my kids immune system was compromised because of the pills. They may help for the moment, but in the long run they are doing more harm than good. Thank you Andrej for sharing this incredible post about the amazing health benefits of cinnamon, I learned from here things I didn’t knew that this delicious spice can do for our health. Alexandra thank you for the visit and comment. Yes, Cinnamon has some amazing properties than just to sweeten food. As do many of the other Herbs and Spices mentioned here. Glad you got the opportunity to help your children with spices such as cinnamon. Medicine is great but so is the use of Herbs and Spices. Thank you also for giving us all your method that helped your children with the cold. Your support in stating this I am sure will help many other parents who may not realize how powerful herbs or spices can be. That is one of the great benefits of having a website the great Knowledge that can be shared online. Am so happy that you manage to pick up some other thoughts and ideas as well. Blessing to you and wishing you continued success with your law of attraction ( http://manifestlawofattraction.com/ )website as well.